Customs regulations in Norway are controlled by the Tollvesenet (Norway Customs Department). To make sure your arrival in Norway goes smoothly, take a look at the current customs regulations in Norway. 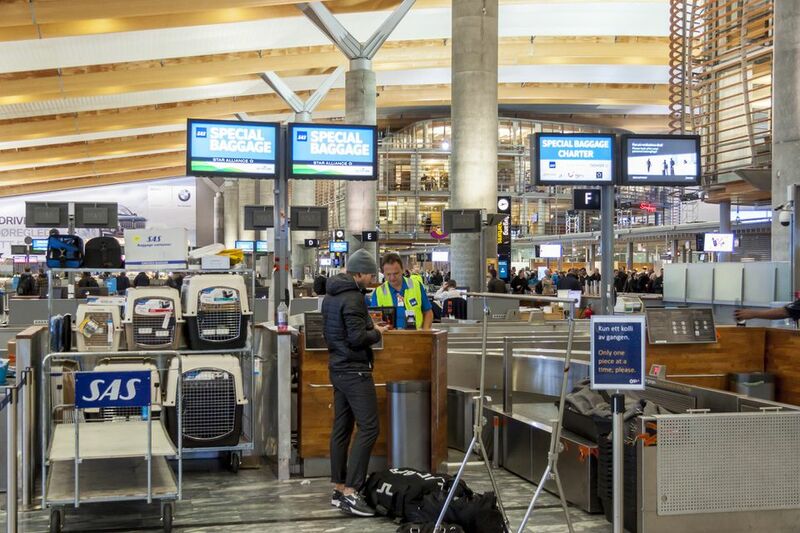 Typical travel items like clothes, cameras, and similar personal goods can be taken through customs in Norway duty-free, without having to be declared, as long as the total value does not exceed NOK 6,000. Norway customs allows travelers to bring currency up to a value of NOK 25,000 before it has to be declared. Traveler’s Checks are excluded from this rule but gift cards are included. Make sure to leave your prescription drugs in their original packaging, and bring any prescription documentation you can obtain from your doctor, if possible in English. With some prescriptions or over-the-counter medications, it's helpful to have the name of the drug, rather than the brand name with you, in case you need to make a purchase while traveling. There’s a special rule for this, on top of the inconvenience. If your airline happens to lose your luggage and one of your suitcases arrives separately, you’re required to select the red customs lane and declare the contents of your entire luggage to the customs official. Can I Bring Tobacco to Norway? Yes, tobacco is allowed within limits. Travelers 18 or older can bring tobacco into Norway in quantities reasonable for personal use only (200 cigarettes or 250g tobacco per person). Can I Take Alcoholic Beverages to Norway? You are permitted a maximum of 1 liter with 22-60 percent alcohol plus 1½ liters with 2.5-22 percent alcohol content (or 3 liters with 2.5-22 percent alcohol). Illegal drugs, prescription medicines that are not intended for personal use or in very large quantities, alcoholic beverages over 60 percent alcohol, weapons and ammunition, fireworks, birds and exotic animals, as well as plants for cultivation, are all prohibited. Also prohibited in Norway is the import of potatoes. The import of 10 kilograms of other vegetables, meats or fruits from within the European Economic Area (EEA) is allowed. If you want to bring your pet to Norway, there are several customs requirements for pets. There are some dog breeds that are considered dangerous which are not permitted in Norway.